Barrie, J.M. 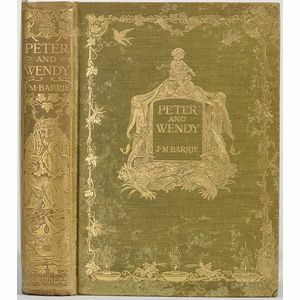 (1860-1937) Peter and Wendy. Barrie, J.M. 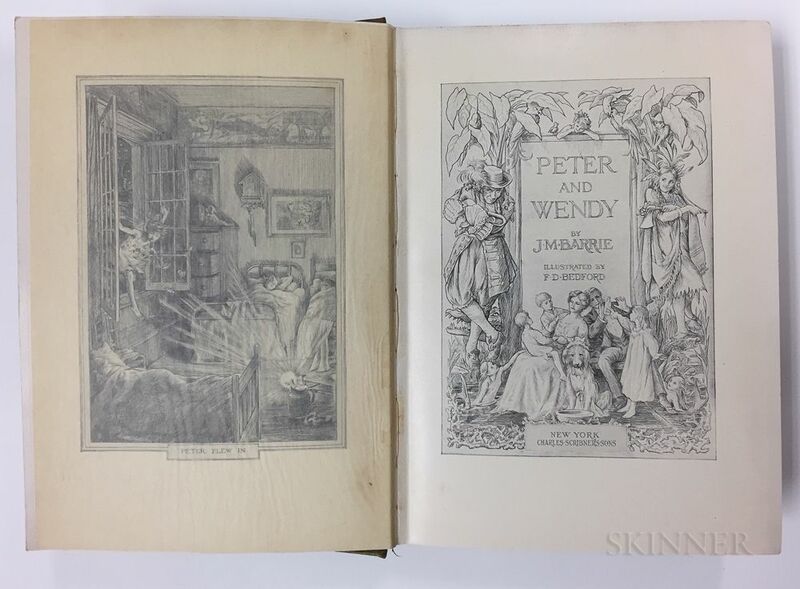 (1860-1937) Peter and Wendy. Barrie, J.M. (1860-1937) Peter and Wendy. Barrie, J.M. 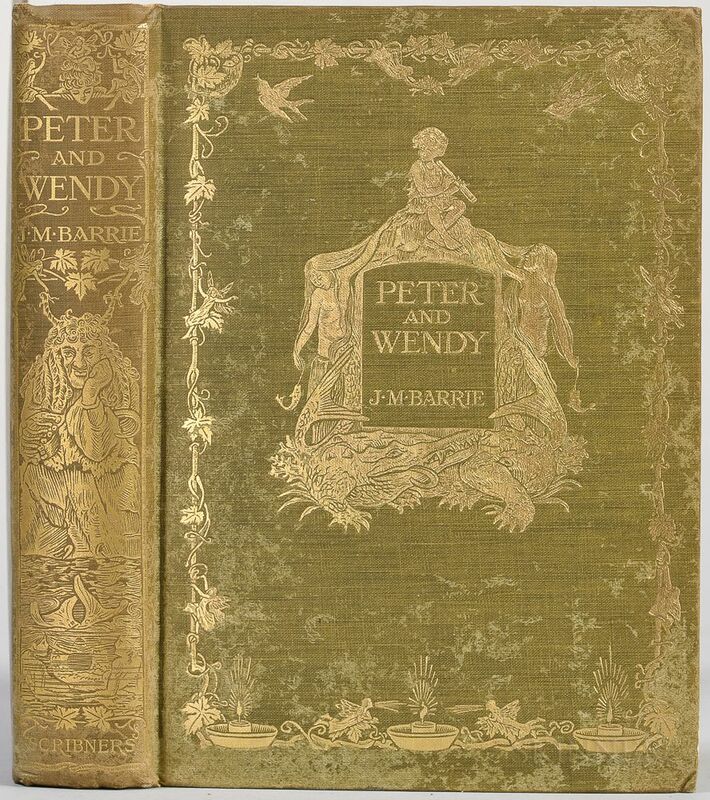 (1860-1937) Peter and Wendy. Barrie, J.M. 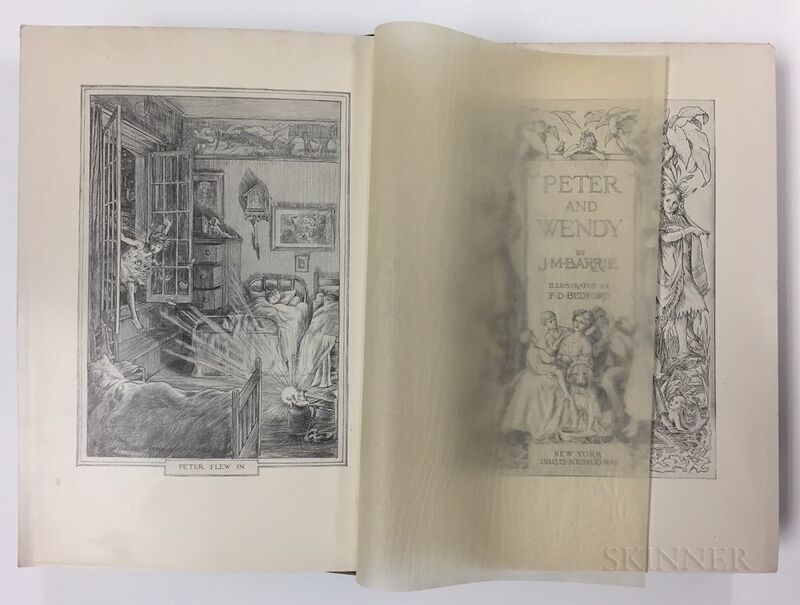 (1860-1937) Peter and Wendy. Barrie, J.M. (1860-1937) Peter and Wendy. New York: Charles Scribner's Sons, 1911. 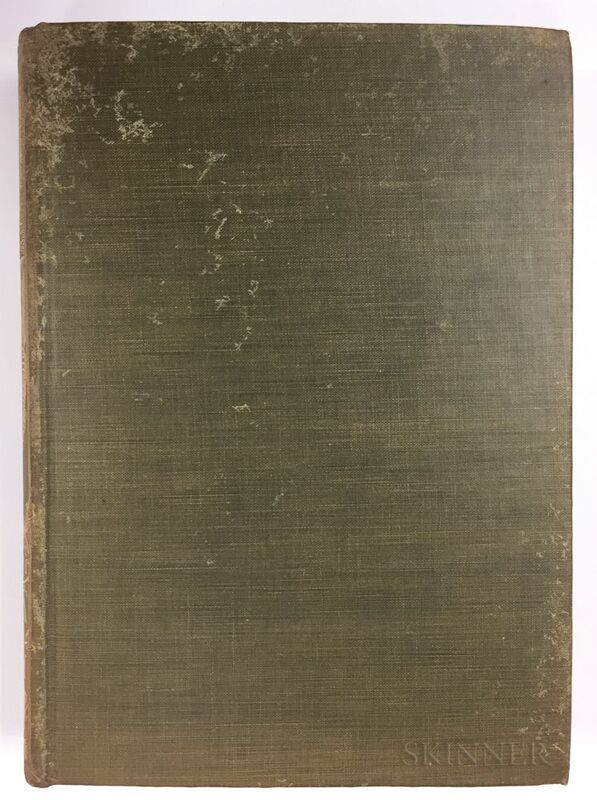 First edition, with Scribner's seal on copyright page, illustrated, bound in decorated publisher's green stamped cloth, 8 x 5 1/2 in.